Out of the whole block of Disney-centric cartoons from the late ‘80s and early ‘90s, TaleSpin, which used a version of Baloo from The Jungle Book as a protagonist, was probably the most distinct. Transposing Disney characters and vibes to a 1930s-style caper about air pirates in a lush tropical setting. It was an unusual, creative show, and now its main villain is coming to the new Disney cartoon universe a la DuckTales. 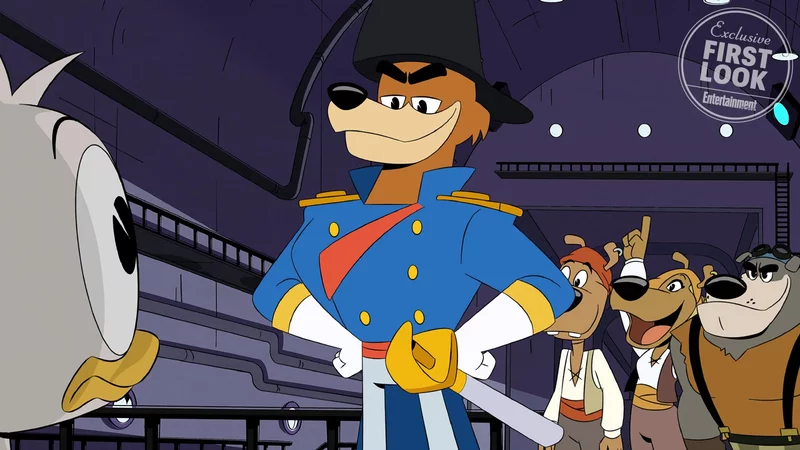 The heir to Disney Afternoon, the rebooted DuckTales is still airing its first season, and on July 28th, according to Entertainment Weekly, an episode will air featuring Don Karnage, the sky pirate du jour, menacing Huey, Dewey, and Louie in well-animated HD. Best yet: he’ll be singing, introducing himself in a musical number. And his voice actor? Jaime Camil, one of the best parts of the brilliant Jane the Virgin. Disney’s occasional teases of these other Disney Afternoon characters is at least a little acknowledgment that these shows are beloved, iconic, and worth revisiting. Here’s hoping maybe we’ll get some spinoffs before too long.